Workplace Security does not just mean a simple office shredder. Data Protection comes in many forms and is worth knowing these methods. 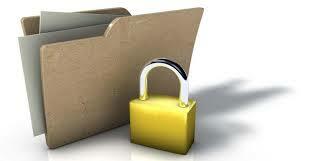 Data Protection is an important part of business practice. Paper shredders are often used to shred confidential documents. Your standard office shredder does not provide adequate security when shredding. An Industrial paper shredding service will provide a secure document destruction method for your business to use. Along with paper shredding, there are many other forms of security you and your business can incorporate into everyday practice. We live in an age where data breaches are becoming more and more common which makes protecting this data ever more important. Digital data is now an area of protection and is often overlooked. These over sights is what cyber criminals will prey on and thus a Data Breach will occur causing severe damage to your business reputation. Tip 1: Outsource your secure and confidential document destruction requirements to a certified professional Data Processor whom is reputable and reliable. Tip 2: Enquire with your current data destruction provider about their e-media services. Hard drives and other types of media should either be shredded or crushed to ensure all the electronic data is securely destroyed and beyond reconstruction. If your service provider does not provide same, contact a member of our team whom are more than happy to help with your enquiry. Tip 3: Choose a Service Provider that uses secure certified document destruction technologies, lockable consoles and/or locked 240 Litre wheelie bins, issue Data Processing Certificates and operate with a secure chain of custody. Tip 4: Appoint a Data Compliance Officer in your Organisation whom is responsible for ensuring compliance regarding the correct management of both paper data and digital data within an organisation. Tip 5: Conduct regular staff refresher training days regarding the importance of information security and the processes associated with same. Have training material prepared and on hand for induction training when new employees begin. This entry was posted in Confidential Shredding, Corporate Social Responsibility, Data Destruction, Data Protection, Digital Data, Paper Shredding and tagged Confidential Shredding, Data Privacy, Data Protection, Data Protection Commissioner, Data Security, Identity Theft, Onsite paper shredding service, Onsite Shredding, paper shredding service, Secure Shredding by Security in Shredding. Bookmark the permalink.